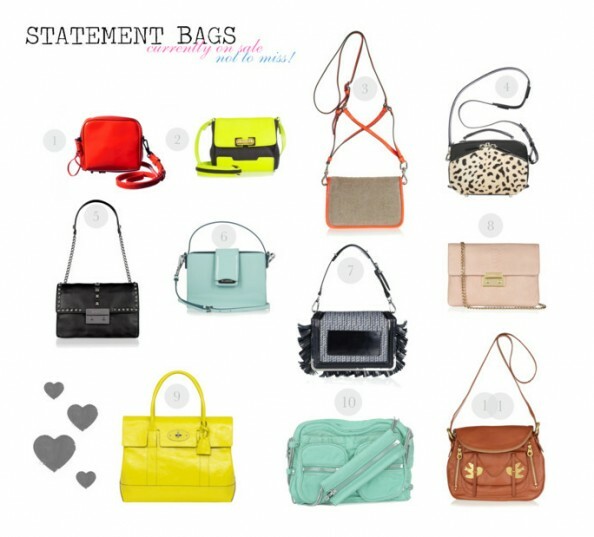 Home : Fashion & Style : Mid-season sales guide - designer bags! Now is the time to invest in a designer bag. Why? Shopbop, Saks Fifth Avenue (worldwide) or Net-a-Porter (only for US at the moment) have unbelievable mid-season sales at the moment! 30%, 50% or even 70% off designer price tags makes it more realistic for us, mere mortals to become a proud owner of Alexander Wang or Marc Jacobs. So don’t miss out these will definitely sell out very quickly! Don’t forget about The Statement shoes! You can check out my favorites here. I like number 8 a lot.